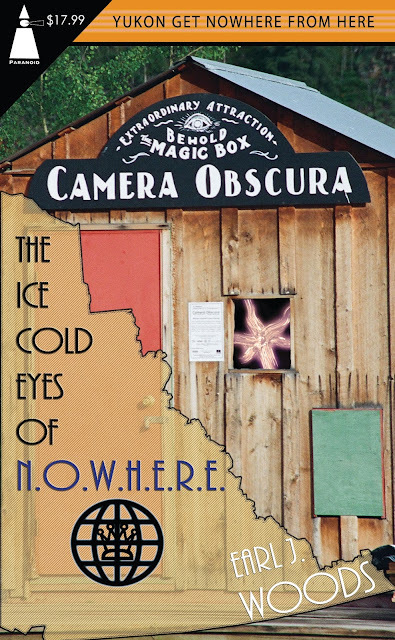 The Earliad: The Ice Cold Eyes of N.O.W.H.E.R.E. Leaked excerpt from the Nowhikipedia, 2051 edition. The Nemesis Order: Western Hemisphere Exo-Rational Empire, or N.O.W.H.E.R.E., was a secret cabal of criminals and terrorists dedicated to the overthrow of the western democracies in the early-to-mid 21st century. In 2024, their underwater base in the YUKON RIVER near DAWSON CITY was destroyed by forces as yet unknown, killing N.O.W.H.E.R.E. North Region Chief DAWN SABATINO and an estimated 750 N.O.W.H.E.R.E. AUXILIARY TACTICAL ORDNANCE, MOBILE (A.T.O.M.) troopers. However, this setback did not put an end to the organization, as revealed in The Earl of N.O.W.H.E.R.E., N.O.W.H.E.R.E. to Run, N.O.W.H.E.R.E. to Hide, The Challenge from N.O.W.H.E.R.E., et. al.. SEE ALSO C.H.A.O.S., JELLY BALLS, LEAF RAPIDS, PINE, Madison, O.R.D.E.R., SAVAGE, Trinity, X-WAVES, Z-DUST.